Its been said that the Lady Dior Tote Bag is connected to Princess Diana, and the story goes that, the French First Lady Bernadette Chirac sent Princess Diana the newest Dior tote as a present, this happened in 1995 at the Cezanne Art Exhibition. Princess Diana immediately fell in love and liked it so much that she has been spotted carrying this bag almost everywhere. 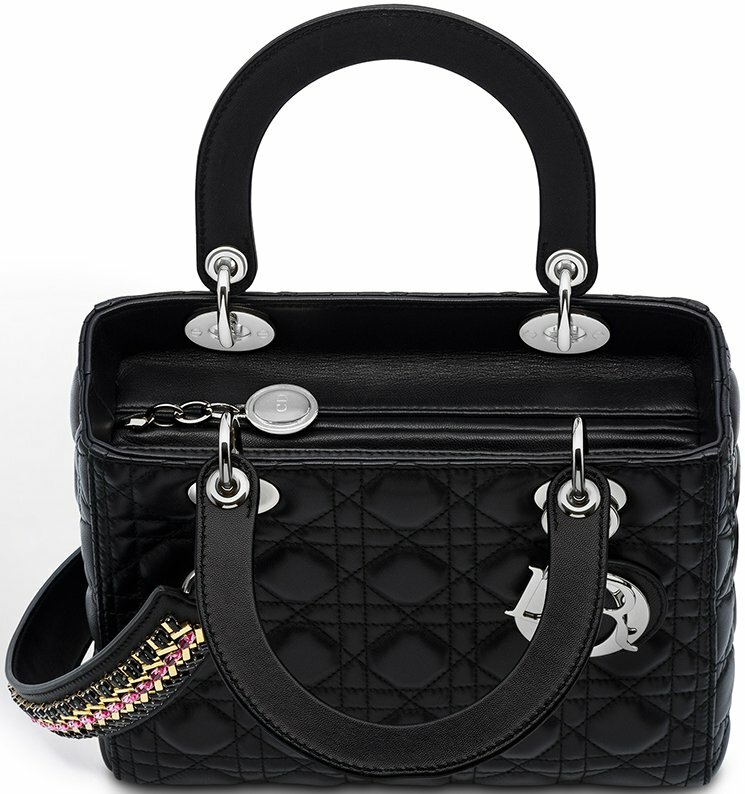 When Princess Diana received her bag, it was not released for public yet; Dior then quickly named it ‘Lady Dior’. 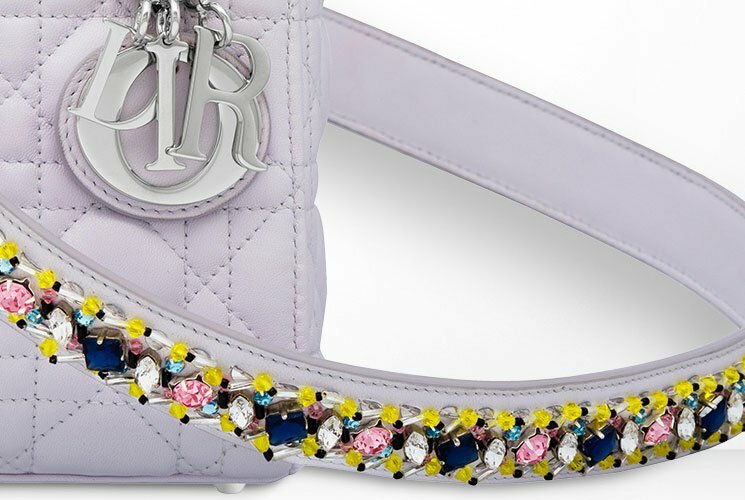 Throughout the years, we have seen the Lady Dior Tote re-colored and re-decorated numerous times, going from lambskin to Deerskin, printed with flowers and played with sequins. Each one of them is beautiful and I have yet to see a Lady Dior Tote that’s fugly. But there’s one thing that has never been done before, and that’s redesigning the experience. 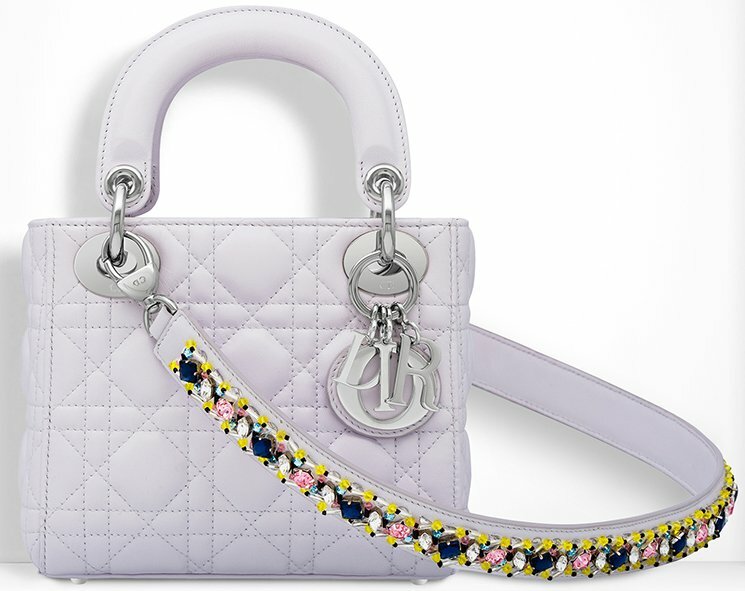 The newest Lady Dior Tote for the Fall Winter 2014 Collection is embellished with two envelopes clutches, one is attached on the front, the second one (which is also smaller) is linked to the DIOR charm and it may be detached and attached as much as you want. 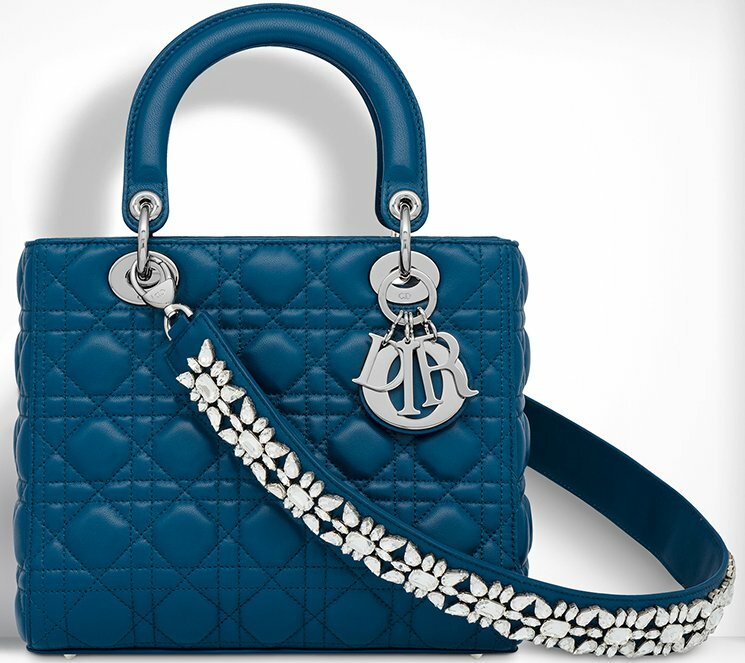 Crafted from durable calfskin, combined with Dior’s exclusive craftsmanship, appreciate the iconic ‘Cannage stitching’. 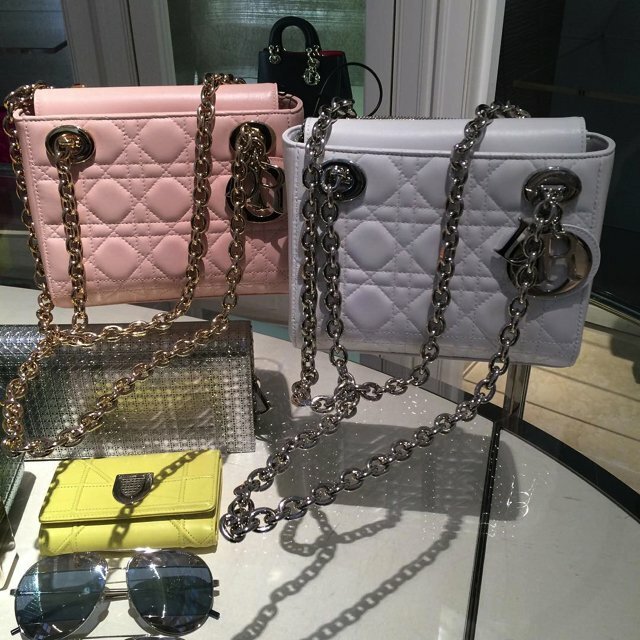 The medium size is measured 24 x 20 x 11 cm, the price depends on the style, but the normal version in medium size is priced around $3,900 USD at Dior boutique.